It is Bellator week on the SFLC Podcast. 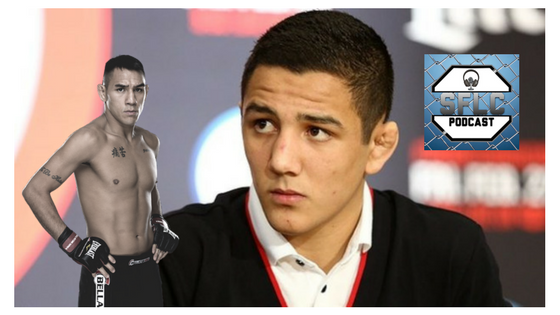 We kick off a busy week with Aaron Pico (@AaronPicoUSA) who faces 26-fight veteran Lee Morison next Saturday night at Bellator 199. He talks about the fight, his approach to his career and reacts to the debut of Dillon Danis. Also, coming off of his phenomenal first round submission victory over Sam Sicilia, Ryan Sprague chats with Emmanuel Sanchez (@ElMatador145) about his big win and what is next for the rising featherweight contender.